Odaiba is a cool bay side district with many amusement centers and brilliant shopping centers. I recommend Yurikamome Line, the cool monorail to the bay side district of Tokyo, the best because the trains are near-future-like, the bay side views through the large windows are beautiful and you’ll be excited. To catch a Yurikamome Line train, go to JR Shimbashi Station of Yamanote Line or Keihin Tohoku Line and change trains to Yurikamome. One-Day-Ticket is reasonable. (820 yen for Adult, 410 yen for Child) You can get on and off as many times as you like during the day you buy it. O-daiba is not a district with just one station, so it is very helpful and reasonable. Just going and coming on Yurikamome is fun as well. If you are staying in Shinagawa or Tamachi (the next train station to Shinagawa,) Odaiba Rainbow Bus is super convenient. It is a loop bus around O-daiba. One day ticket is just 500 yen. If you are staying in Oimachi (the other next station to Shinagawa,) Rinkai Line is convenient without changing trains. Get off at Tokyo Teleport Station. Don’t miss Tokyo Bay Shuttle, the FREE shuttle buses rounding O-daiba as well. 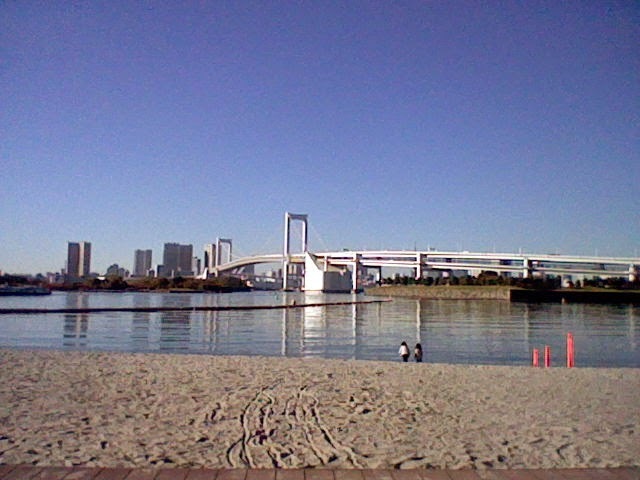 With the view of Rainbow Bridge and Fuji TV Station, it is one of the coolest and the most romantic districts in Tokyo. Oops, we can NOT SWIM! 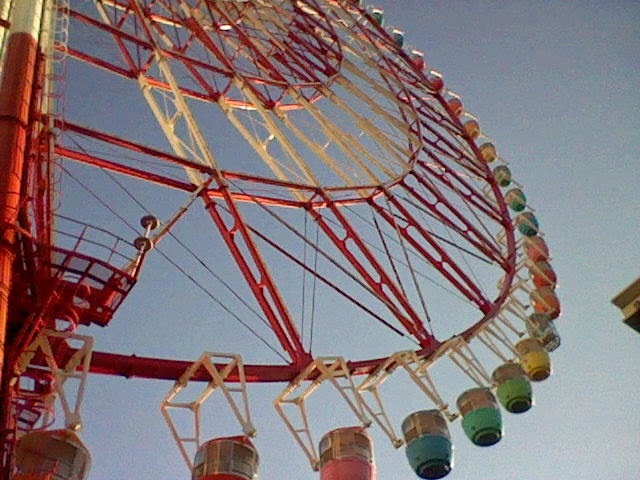 The next two photos are the Giant Sky Wheel in Palette Town. Yes, it’s the landmark of O-daiba. Palette Town includes this colorful Giant Wheel, Venus Fort, Tokyo Leisure Land and some other entertainments. Go down to see them. Decks is a big shopping center with a lot of clothing, accessories, interesting toys, foods, entertainments and good restaurants. I have too much I want to tell you and leave it to another post, but I rather like to enter a restaurant here. There are cafes, grilled food restaurants, Asian restaurants, Japanese restaurants….I have many choices and all are good. And if you like soul foods, Odaiba Takoyaki Museum is a must! It is a popular spot, so sometimes, especially on weekends, they have some events or invite entertainers. I came across a traditional human-monkey duo. The opening hours are quite complicated, but usually 10:00 – around 22:00. Venus Fort is also a cool shopping center in Odaiba. I visited there some years ago because I wanted a jacket sold in one of the shops. 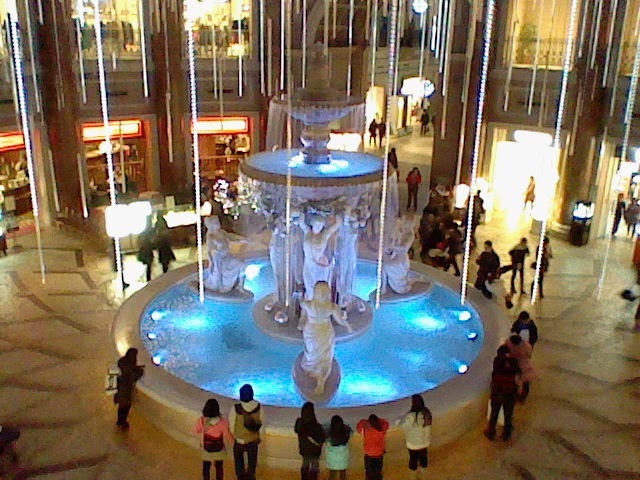 Inside the building, there is a fountain with illumination. Beautiful, isn’t it? Moreover, there are some Tax Free Shops for international visitors!! 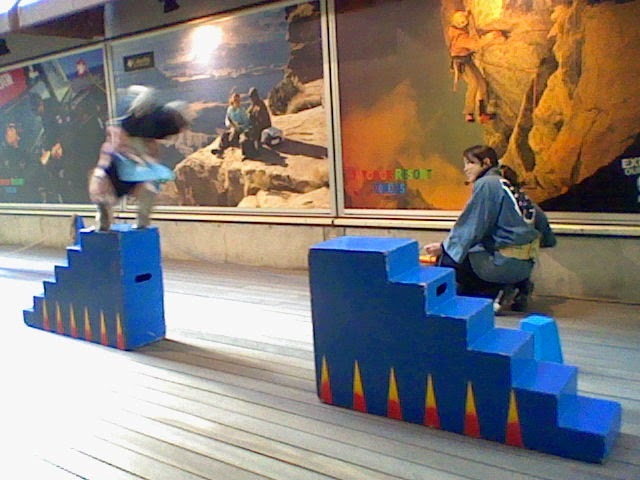 In Palette Town, Tokyo Leisure Land is a must for me. It has a very big Game Center, Bowling Center and Karaoke Rooms! So fun!! 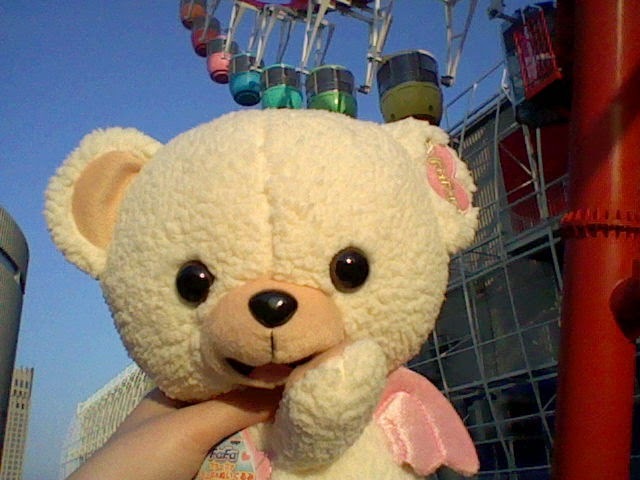 For example, I got this from a crane game. Hopefully I upload Odaiba Sightseeing Guide as soon as possible! Odaiba Official Website: http://www.tokyo-odaiba.net/en/ (Can choose Chinese and Korean as well) Download the free map! Tokyo Bay Shuttle Official Website: http://www.hinomaru.co.jp/metrolink/odaiba/index.html See how the free shuttles look like here!